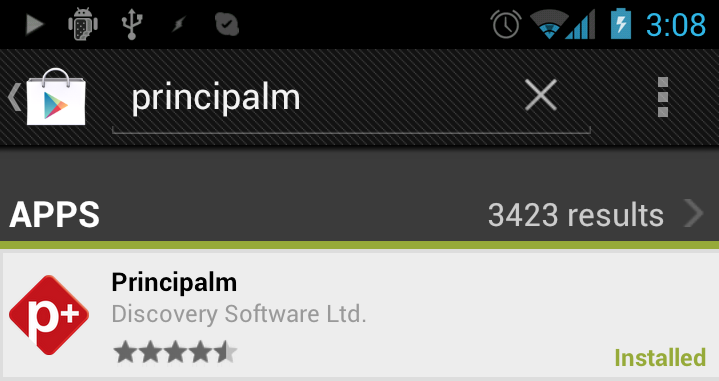 Principalm must first be installed using Google Play Store. 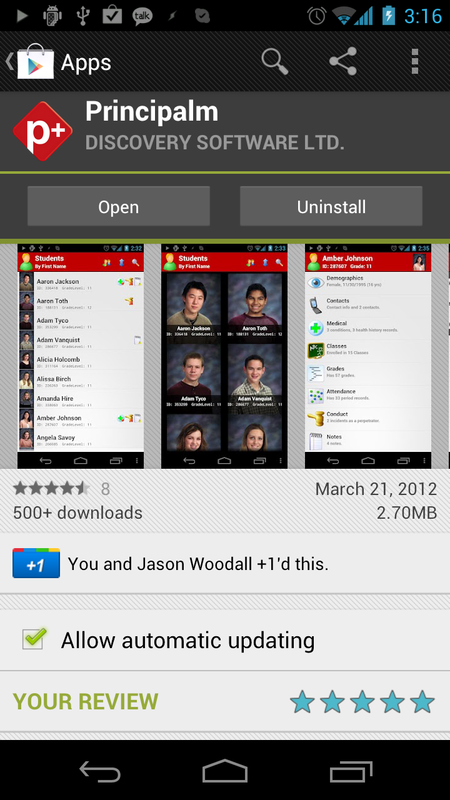 If you already have Principalm installed, skip to the transferring data section below. Click the Search icon (top right). Type “Principalm”, and then select it from the list. 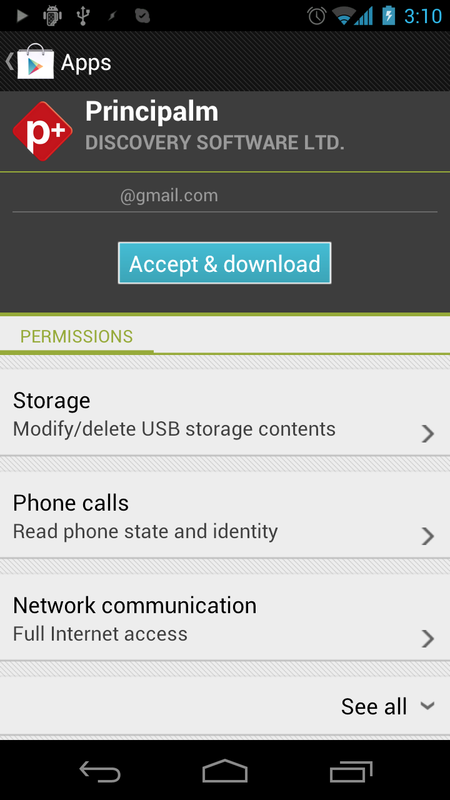 Click Accept & Download to accept permissions. Optional: You may want to set automatic updating for Principalm, so that your application will be automatically updated when there is a new version. Click the checkbox on the Principalm application within the app store to turn on auto updating. Click on the Install button (top left). Once you have signed in you will be directed to the Checkout. Select your device in the "Send to another device" section, if no device is listed, you need to associate one with your account. 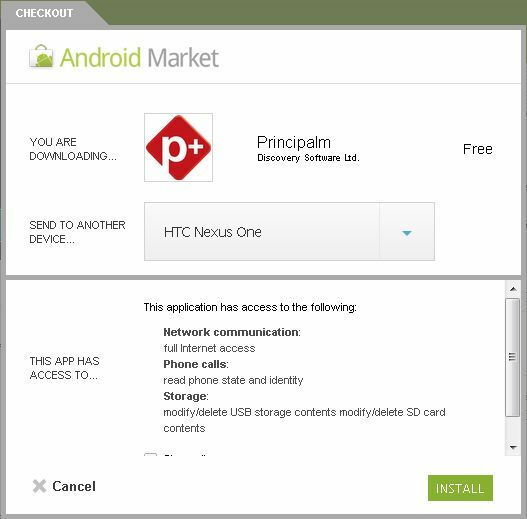 Principalm should be pushed to your device shortly, if it does not download automatically, you may wish to try downloading directly with your device (described above). 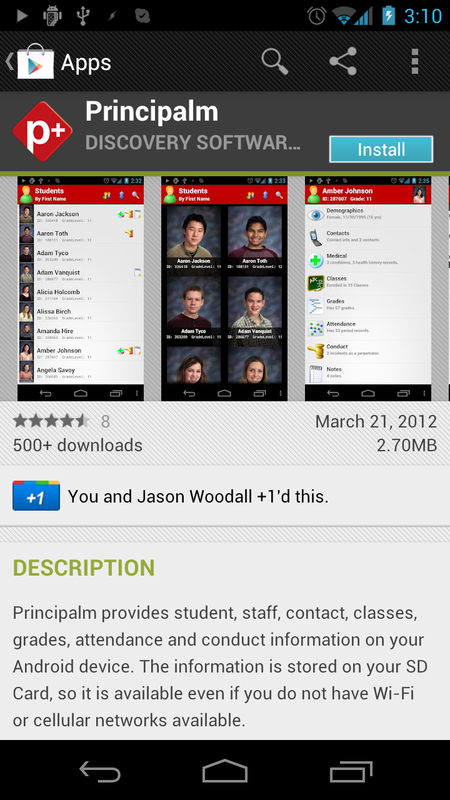 Once Principalm is installed, you will be able to start it any time by opening your App tray then selecting Principalm. 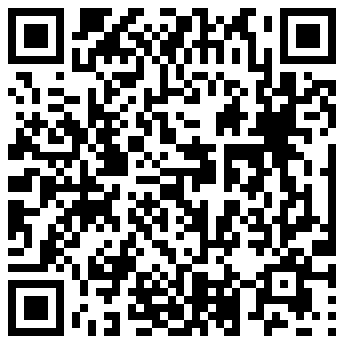 Please refer to Android Data Transfer for setup. Can Principalm be synced to a Virtual Machine? 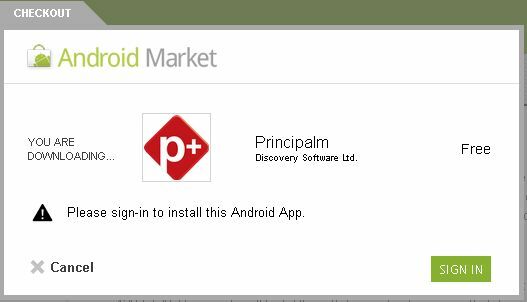 Is Principalm compatible with Windows® Phone OS devices? How can I remove my datasource? How do I set up an Ad-Hoc network to transfer my data? Why does the data transfer occur over WiFi? Principalm crashed on my iPhone, how can I report this? Principalm sync via cell network supported? 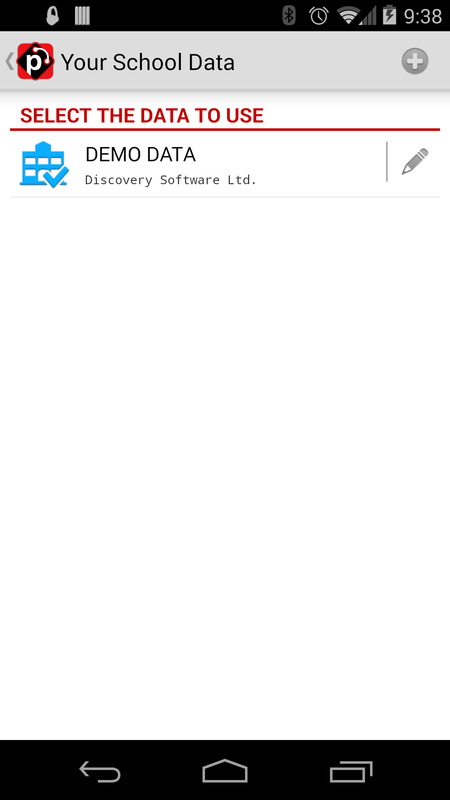 What is Discovery Software's refund policy?